Traditional sriracha is made from red jalapenos- but those can be hard to find in stores. If you are lucky, you can buy green ones and they might turn red. You can just use green ones, the taste won't be much different. I had red jalapenos from my garden. I have not used stevia- I am not at all sure how it would work. You will need to Google the conversion for your brand of stevia. 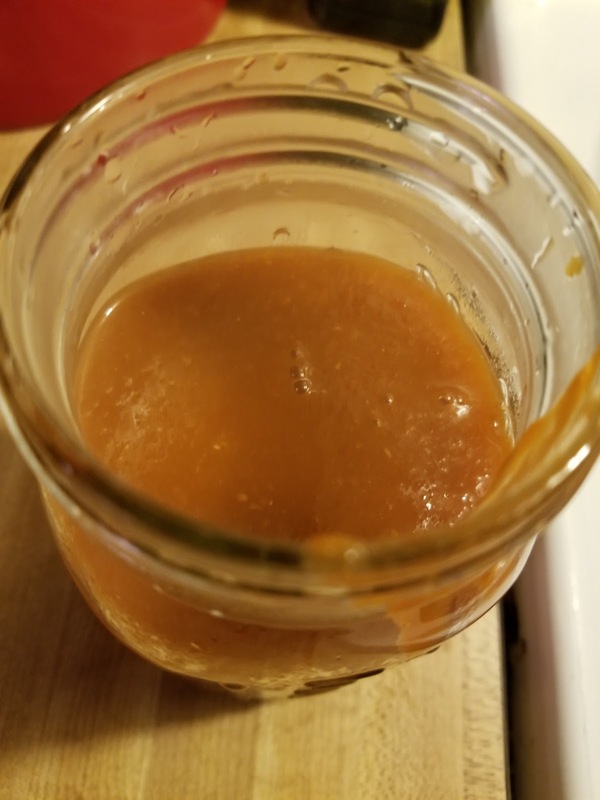 This sauce does need babysitting during the fermentation stage. You will need to check it a couple of times a day for several days. The non FMD version will ferment in 3-5 days with the help of sugar. Since FMD doesn't use sugar, the fermentation takes quite a bit longer. You need a cool, dark place - but not the fridge. Set timers or reminders on your phone so you don't forget about it. 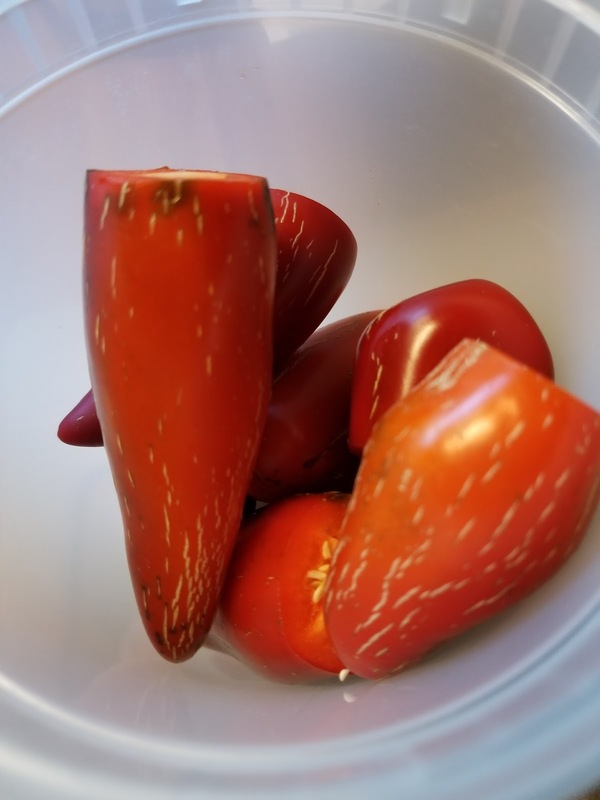 Chop jalapeno and serrano peppers, retaining seeds and membranes, and place into a blender with garlic, sweetener, salt, and water. 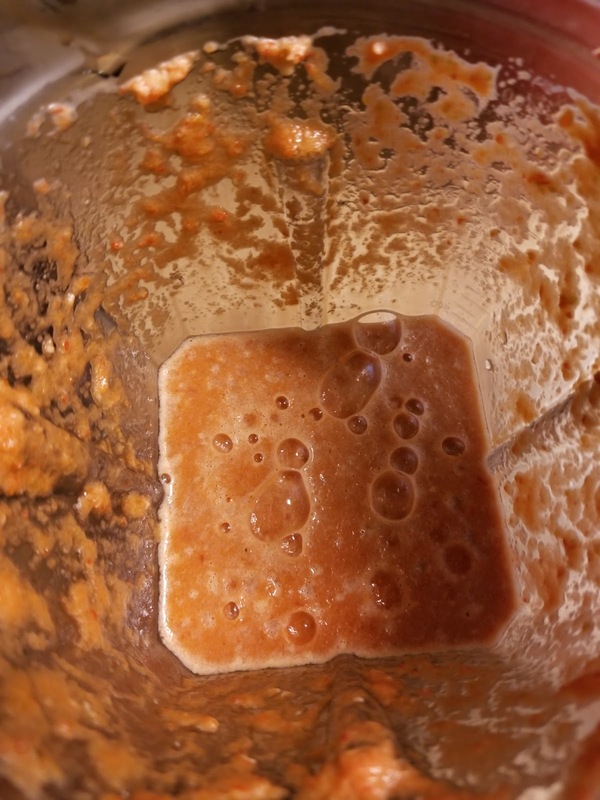 Blend until smooth, pulsing several times to start. 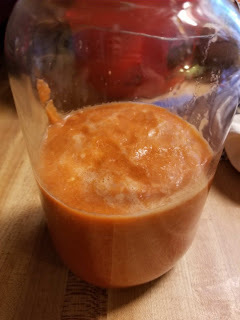 Transfer puree into a large jar. Take a sniff now so you can tell when the mixture ferments. 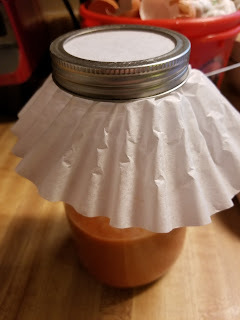 Cover container with plastic wrap or a coffee filter, and place into a cool dark location for 7 to 10 days, stirring once or twice a day. The mixture may begin to bubble as it ferments. Scrape down the sides during each stirring. Rewrap after every stirring and return to a cool, dark place until mixture is bubbly or smells fermented. 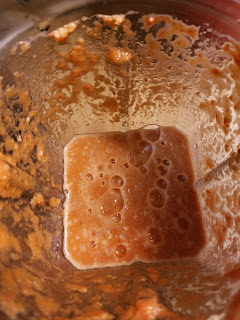 Pour fermented mixture back into blender with vinegar; blend until smooth. Strain mixture through a fine mesh strainer into a saucepan. Use a rubber spactula to push as much of the pulp as possible through the strainer into the pan. 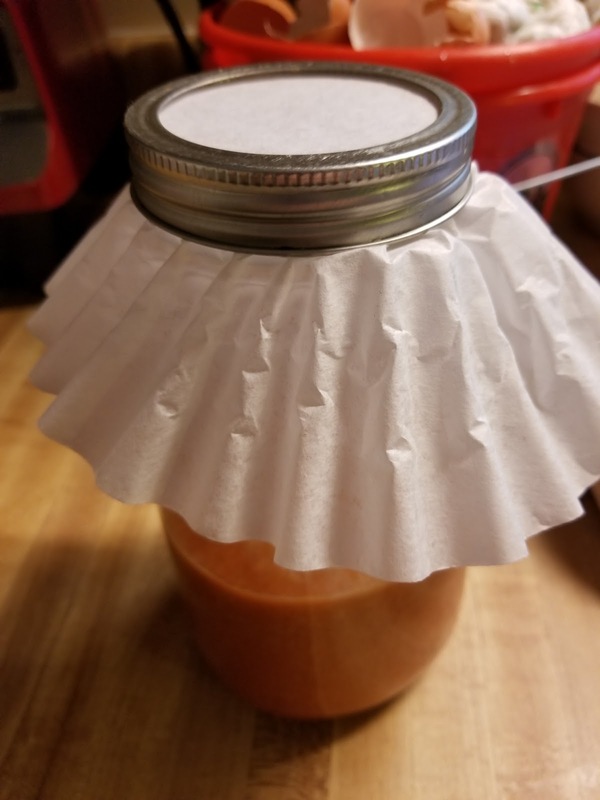 Discard remaining pulp in strainer. 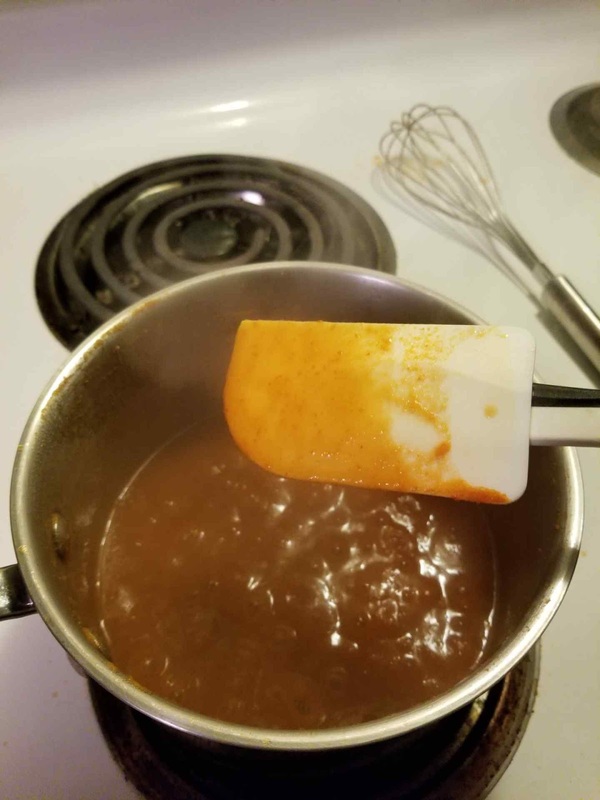 Bring your sauce to a boil, stirring often, until reduced to your desired thickness, 5 to 10 minutes. Skim foam if there is any. Remove saucepan from heat and let sauce cool to room temperature. 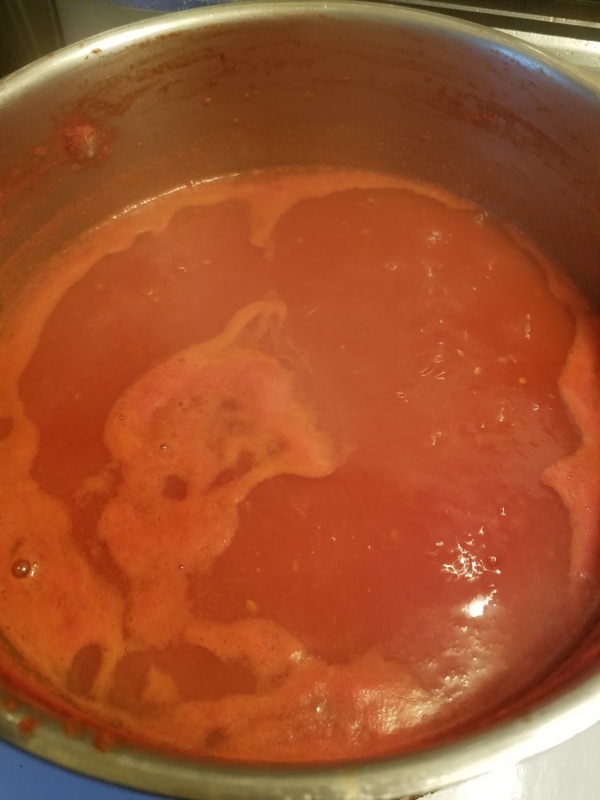 Sauce will thicken a little when cooled. Transfer sauce to jars and refrigerate. I don't refrigerate mine. It's been on top of my fridge since I posted this.